The Psalms can be sung, spoken or read – but they were written to be prayed. Until we pray them from the heart we miss their purpose. 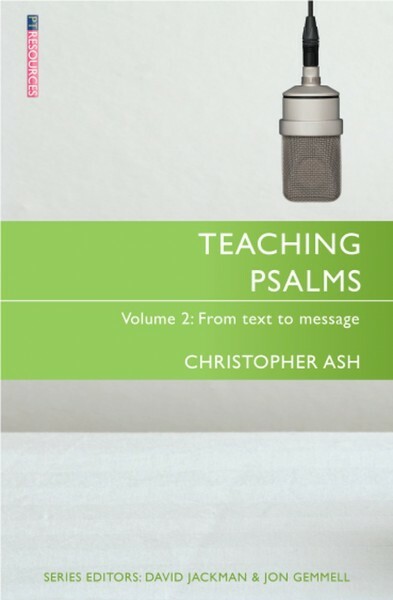 The two volumes of Teaching Psalms aim to get the reader’s heart engaging with this beautiful book of the Bible. If you love, or want to love, or think perhaps you ought to love the Psalms, these volumes are for you. Volume 2 picks up on the groundwork laid and begins with an overview of the structure of the Psalter. It then goes through the book of Psalms, giving an introduction to each one. It does not seek to compete with a commentary in that it does not approach each verse individually; however it offers what few commentaries attempt – a careful look at the message behind the book as a whole.